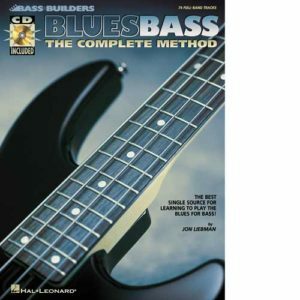 Perfect for beginning to advanced players, this book/audio package by world-renowned bassist and educator Jon Liebman provides a 52-week, one-exercise-per-week workout program for developing, improving and maintaining bass guitar technique. 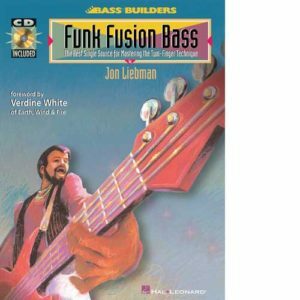 Liebman teaches: chromatics; scales and arpeggios; string-crossing and advanced patterns; slapping and popping; and more – all in styles ranging from rock, funk and R&B to jazz, disco, reggae and more. 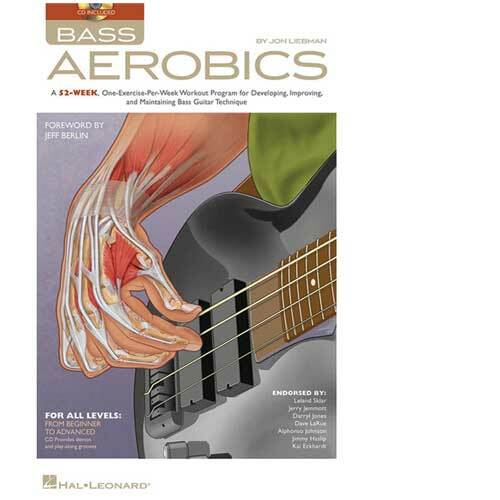 Bassists using Bass Aerobics will benefit from increased speed, improved dexterity, better accuracy and heightened coordination – not to mention an awesome new groove vocabulary! 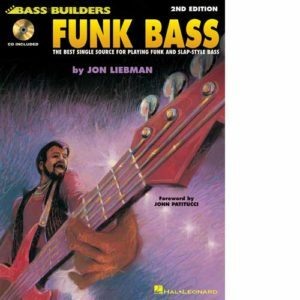 The accompanying audio contains all 52 workout grooves for both demonstration and play-along. 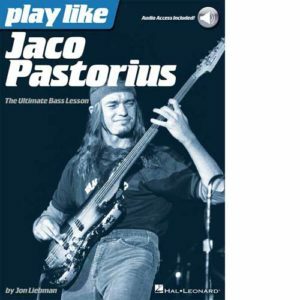 Endorsed by Leland Sklar, Alphonso Johnson, Darryl Jones, Dave LaRue, Jerry Jemmott, Jimmy Haslip and Kai Eckhardt. Foreword by Jeff Berlin.